Tomorrow, New Year’s Eve 2013, marks one year since ALS took the life of my younger sister, Chana. On her birthday later this month, she would have been 50 years old. I had considered sharing some words at her funeral a year ago, but the time did not seem right. A year of thoughts and memories have begun to settle a bit, however, and I’d like to offer just a couple of them in her memory today. There are about 25 seconds of home movie footage in which my younger sister imitated my every move. I don’t remember these events, of course, but I’ve watched them scores of times over the years, flickering against living room walls in the dark, so they are as much like a memory as they can be. Chana was about 4 years old at the time and I was about 6. We were standing on our driveway in Memphis, on a sunny summer morning, dressed in our pajamas. I was posing for the camera and she appeared to imitate my every move. If I stood in a certain way, she looked at what I was doing for the camera and followed suit. If I jumped, she jumped. If I spread my legs, jumping jack fashion, so did she. As I said, this imitating behavior only lasts about 25 seconds on film – a little girl, big gummy smile, eyes squinting against the morning sun, imitating her older brother as if that was just what was expected at her age. After that, however, Chana was an original. She didn’t need to imitate anyone else ever again. As I consider how to best remember her, three thoughts come to mind. The first is her sense of humor. Anyone who knew my sister for very long at all knew that, given enough time, she would make you laugh. Things she would say, the way she would say them all worked in concert to evoke a smile and laughter from those in her presence. I texted her a few weeks before she died, when I last visited with her, and I told her that it had dawned on me that while we all have a good sense of humor in our family, hers has had the more lasting impact on our familial culture. Jokes and mannerisms she and her friends developed in her childhood and teens are still with us today, making us laugh or smile as we seek to imitate her. We still say things she said, using unique vocal tones she apparently invented – and we pass them on to our children. She knew what was funny and she knew how to tell a funny story. She loved laughing at herself as well. And, in doing so, she gave the rest of us freedom to laugh at ourselves, too. Chana’s illness robbed her of speech and the freedom of walking, but for so much of the time, it did not completely rob her of joy. I recently saw a cell phone video of my sister taken sometime in the last year of her life. It was shot in some department store somewhere. Chana was riding on her scooter, wearing a silly holiday hat that played music and she was “dancing” to the tune with her face and hands. Even in the midst of the grief we all felt as we watched it, it was joyful and funny. She was joyful and funny and her sense of humor, her ability to make others laugh with and at her are a part of the legacy she left behind. Chana’s sense of humor and joy were tied, more and more, to her faith. She was never one to flaunt her faith or make it the only topic of conversation, but as she wrestled with the realities of her illness, her faith worked itself outward in new ways. She talked about it more (when she could still talk), she texted about it to her kids and to our parents. She explored the depths of her relationship with God like never before – it seemed to me – all because of her illness. For most of us, the kind of trauma and pain brought on by something like ALS will either drive us away from God or toward God. For Chana, her journey was very much toward God. True, for much of that time she was praying for healing, believing it was yet to come, and it did not. But even in the midst of that disappointment, it was clear that God was doing a new work in her and in her family. He was using their pain and grief to draw them closer to him. In a conversation about such things once she texted me that while she certainly still wanted to be healed and healthy again, she wouldn’t trade what she had gone through in terms of what she had come to know and experience of God through it. That growth in faith was obvious to us all. One last thought that remans strong in my memories of my sister is contained in a text she sent me some time in the last year of her life. She was asking questions about faith and healing and I was trying to respond as best I could, wishing I had more answers (and faith) than I did at the time, when she wrote the following paragraph. I was so moved by it that I emailed it to myself and saved it for a time such as this. I tell you one thing. When this is all over and i am well, I will never complain about working, cleaning, cooking, or anything. How i would love to do it all. I look at people just walking and think how we take that for granted. Just being able to say words we take for granted. I long just to be able to talk. And with that she leaves me with a lesson. There is so much about life that I take for granted, that I complain about. There is so much living that I do not love as much as I ought and could. In a single day I could grunt and complain about anything and everything on Chana’s list of things we take for granted (and more). When I first read her words I felt two things: shame and joy. Shame that I had not seen things the way she was seeing them, and joy that now I could – that her reflections and honesty had made a way for me and others to see life the way she saw life. Take nothing for granted. Complain about nothing that is normal and day to day. Cleaning, cooking, working, anything. Cherish each unrestricted movement, each spoken word, each conversation, each relationship. Find a way to give thanks for all of it. I do not always live this well, of course. Not even close. But Chana’s words make me want to do so. Her sense of humor, her faith and her ability to see the things I’ve missed inspire me. And now I find myself wanting to imitate her. That little sister, clad in pajamas and imitating my every move on that sunny day in Memphis 45 years ago has now given me something profoundly and deeply hers to imitate as well. And I am grateful. May we all learn from her example. Amen. Gallery | This entry was posted in Missional Living, Spirituality. Bookmark the permalink. Stacey…. thanks for sharing this…powerful and very very relevant…. Thanks for taking the time, John. We’re looking forward to seeing you in a couple of weeks! I wish I had known her. Gutsy lady for sure. Good words, Stacey. I was really touched by your thoughts of your sister. God Bless you in this new year. Thanks, Richard. Thanks for taking the time to read and comment. Nice to hear from you. I have many fond memories of Chana. She had an infectious smile and the ability to just light up your day. As what happens all too often, we lost contact after high school, but she surely made those years all so much richer for me. My brother died of ALS in 2011. He was just as much of a joker- making us laugh with so many of his expressions, responses and moments he could laugh at himself. His disease took him in 5 years and he faught to live dispite the cruel consequences of the disease. I do not believe I have the courage to do so. It continues to amaze me how what I call the ‘good ones’ seem to be chosen for horrific experiences but am proud to say that I will continue to be a true believer in God’s work – and will stand beside what happens in my lifetime- continuing to give Him glory and know that although I don’t understand at this human point ‘why’ that I will some day. He didn’t deserve it. Confrats for having such a brave sister Stacy who continued to lift it up and enjoy life regardless of her circumstances – and kudos to You for you spreading Her word. Amy,thank you for sharing of your own experiences with us. I often wonder if I would have the courage my sister had, as well. My guess is that courage like that comes to those who need it when they need it. Either way, I pray you (and I) will continue to be faithful and live lives inspired by the faith and lives of those we lost. Peace to your brother’s memory! Stacey – I went to Hihh School with Chana and we dated a few months in our junior year. I just found out today of her passing and not only am I shocked but my heart hurts too! 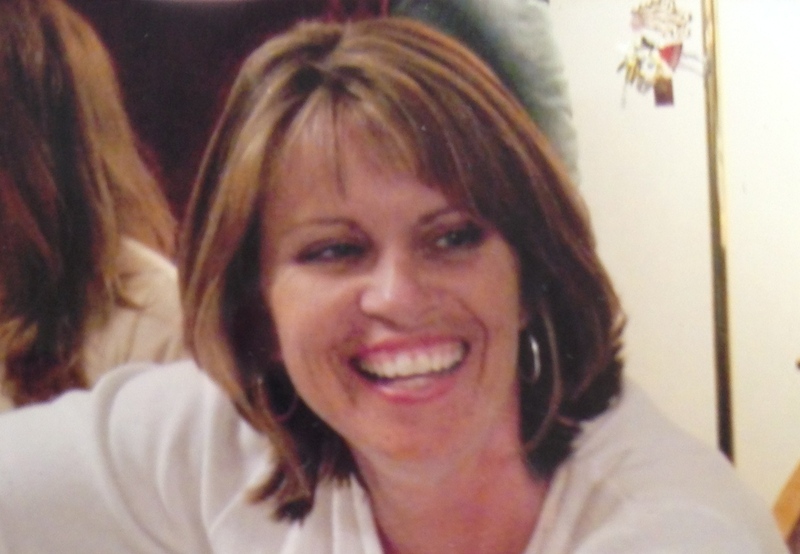 Her smile, her beautiful teeth… Kind demeanor and her sense of humor I will never forget! Your posting here has touched my life so profoundly so thank you. I will for always keep Chana in my thoughts and never take any day for granted. Kevin, thanks for your kind words. You saw in Chana what all of us saw and I am honored that you would share that with us. Peace! Stacey, those were beautiful words you spoke of your sister. You’re right that we take everything for granted -.another reminder to me to be grateful even when we don’t feel like things are going well. Thank you for sharing. Your sister sounds like an awesome person and example in the face of adversity. You brought tears in you honoring her today. Thanks for the reminder to never take the small things for granted. Blessings to you and your family in this new year! Thanks, Bonnie. Same to you and yours!